In many cases, acid reflux will be diagnoses based on the symptoms a patient is experiencing, but there are tests that may be completed to make sure the diagnosis is correct. If a person is experiencing the most common symptoms of acid reflux, such as regurgitation or heart burn, the doctor will likely set an acid reflux diagnosis. The doctor may also decide to do an acid reflux test. These tests can be divided into few categories, such as endoscopy, pH monitoring and radiology. People who experience other symptoms or more concerning signs of acid reflux are recommended to do some of the tests listed above. The same applies to people whose symptoms do not respond to the given treatment. Therefore, if you are wondering ‘do I have acid reflux?’, it is best to discuss the options of diagnosis with your doctor. 1 How is Acid Reflux Diagnosed? There are several ways of diagnosing a patient with acid reflux or complications of acid reflux. When you go to your doctor with acid reflux symptom, they may choose to use a special procedure with the help of an X-ray. This procedure is called the barium swallow radiograph. Doctors use this test to check if the patient has some problems with the esophagus, specifically structural problems that may be causing difficulty swallowing. The test is completely painless and consists of only a swallowing of a barium solution. As soon as you swallow barium, the doctor can take x-rays of the esophagus. While this test may be used to determine the cause of typical acid reflux symptoms, it is not typically used to diagnose acid reflux. The percentage of people who can be diagnosed in this way is one out of three since not everyone with acid reflux has structural changes in the esophagus that will show on an x-ray. This second test is done by inserting a tube that has a camera on the end into the esophagus. The doctor will insert this small tube trough the mouth of the patient, which will allow them to see the lining of the stomach and the esophagus. This is an uncomfortable procedure, so doctors usually administer a mild sedative to their patients in order to help them relax. They can also choose to use analgesic spray in the throat of the patient that makes the procedure much more comfortable. This specific test lasts for approximately 20 minutes and aside from being uncomfortable, it is not a painful procedure. Additionally, this test cannot interfere with the breathing ability of the patient. The EGD is not required to diagnose acid reflux, as not every patient with acid reflux will have changes to the esophagus. The EGD is used when alarming symptoms are present, as it can detect some complications that occur as a result of acid reflux. The complications this test can detect include the Barrett’s esophagus and esophagitis. The biopsy test is usually performed after the EGD. Depending on the EGD results, a doctor may decide to continue with a biopsy. In such cases, the doctor passes an instrument through the scope they use for the EGD and remove a piece of the esophagus’ lining. This piece is very small and is used for analysis. As soon as the tissue sample is out trough the mouth of the patient, they send it to the pathology labs. The pathology labs checks for underlying diseases that may cause the acid reflux, including esophageal cancer. An esophageal manometry is used to help doctors diagnose GERD and acid reflux and check the function of the esophagus in a patient. Additionally, the manometry checks the esophageal sphincter, the valve between the esophagus and the stomach and its condition and functionality. The process is simple. First, the doctor applies a numbing agent in the patient’s nose while the patient is asked to remain seated. After this step, they use a flexible and narrow tube into the nose and through the esophagus. The tube is aimed towards the inside of the patient’s stomach. As soon as the tube enters the stomach, the patient is asked to lie on a side. More specifically, the left side. When the person turns to the side, the tube’s sensors measure the pressure inside the stomach and esophagus. In some cases, doctor may ask a patient to take a couple of sips of water in order to better assess the functioning of this valve. When a patient, takes a few sips of water, the sensors record the contractions as the water passes down into the stomach. This test lasts up to 30 minutes and is typically used as a presurgical test and not to diagnose acid reflux specifically. This fifth test allows for an even more detailed picture of the patient’s esophagus and its functioning. When the other tests are inconclusive, a doctor may recommend an esophageal impedance monitoring. This test can be done alone or in conjunction with manometry. A manometry tube is used when electrodes are placed along its lengths, at various points. This tube measures the rate of gases and liquids as they pass through the patient’s esophagus. When a combination of Esophageal Impedance Monitoring and manometry is done, the results are being compared with the manometry findings. In this case, the doctor checks the contractions and evaluates their affectivity and movement. A final test to diagnose acid reflux is pH monitoring. In this case, a doctor uses a pH monitor to record the esophagus and its acidity. The test lasts for over 24 hours. During this procedure, the doctor passes a small tube that contains a pH sensor on its end through the patient’s nose into their esophagus. The tube remains in that same position for a minimum of 24 hours by being affixed to the face. Patients are given a small device that they can carry which will record the acid in the esophagus. The patient is asked to write in a diary while this test is in progress. They have to write down everything they eat and drink and push a button on the device that will indicate that they are experiencing symptoms of acid reflux. After the test is done, the doctor takes all this information into consideration and works on diagnosing acid reflux. There is currently an improved version of this test that uses a wireless version of the pH sensor. 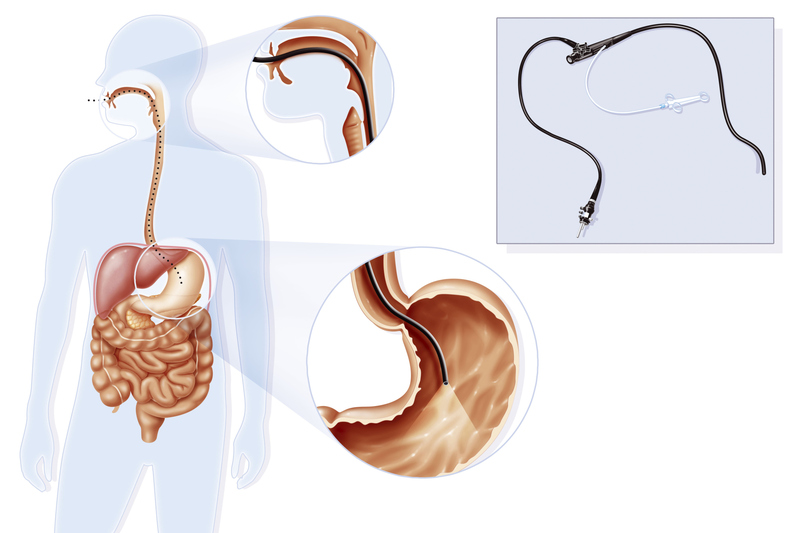 In these cases, there is a small sensor affixed to the esophagus and this sensor uses suction. The capsule communicates with the recording device by wireless waves, outside the body, for duration of 48 hours. After this period, the capsule will fall off and get passed through the digestive tract. This version is equally efficient than the previous one but is more comfortable for the patients.